An Iraqi resistance group in Falluja attacked kidnappers of four Jordanian truck drivers and freed them. The kidnapped were kept in a house on the outskirts of the town. The Mujahideen Advisory Council in Falluja announced that the drivers were not cooperating with US occupation forces, so it sent a group of resistance fighters to attack the hiding place and free the drivers. They were later handed over to Jordanian Embassy representatives. One driver said the resistance group attacked their place and freed them with no bloodshed. He added that the kidnappers were not resistance fighters but thieves. Dr. A.. S. Jabbar, member of the Association of Moslem Ulema (Scholars), reiterated the Association's position that forbids any such act against any foreigner who does not cooperate or serve occupation forces. "The image of Jordan is negative for the majority of Iraqis at present, because of the accumulation of official policies, which have been in agreement with US scheming in Iraq. Jordan was the only Arab country, after Kuwait, which received Paul Bremer the former head of occupation authority as the representative of Iraq and established an excellent relationship with him. "Jordan has also trained US-led Iraqi policemen and army. It had also offered political support to the Governing Council and even greater support to Allawi's government, which is seen by Iraqis as a US puppet government. We also remember many governmental statements, which describe resistance as terrorism and implicitly and explicitly support US presence in Iraq. "Jordanian companies have been carrying out extensive business and activities and implementing contracts to serve American occupation forces in Iraq. "Therefore, it's quite possible to say that the official policy towards Iraq was formulated on the basis of the immediate interests of businessmen who are eager to gain a bit of the Iraqi cake. In return for this 'bit', which goes to private bank accounts outside Jordan, the image of Jordan has been and is still being damaged and the life of its citizens endangered. a. Stop all commercial activities and services linked to Americans in Iraq, that is, withdrawing Jordanian business from Iraq. It's the duty of the Jordanian government to warn Jordanian individuals that anyone opting for working in Iraq bears the responsibility for his decision. b. 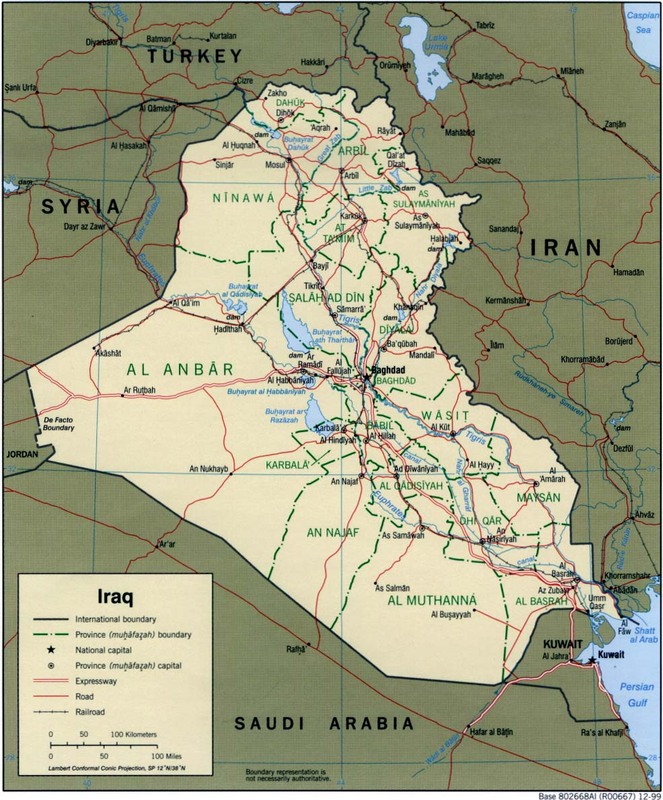 Follow a policy that would correspond to the position of the vast majority in Jordan on the Iraqi cause. "This would be enough to alleviate this crisis, but the Jordanian government has a bigger responsibility towards strategic relations with Iraq. It has to start at once deep dialogues with the true representatives of the Iraqi people, namely the forces of Iraqi resistance in all its trends from Ba'thists to Sadrists. "The Iraqi resistance represents the vast majority of Iraqi people. It is the force, which will make the future of Iraq and rebuild its state. It is the force, which expresses the Iraqi national will. It is the very expression of wisdom for the Jordanian government to take this possibility into account. It has to reform its policy towards Iraq on a balanced basis, and within a strategic perspective that's cognizant of all possibilities and prepares alternatives, not cutting lines of communication with the effective forces on the ground. These forces are actually there, determined to prevent any investment or business or activities in Iraq as long as occupation continues." a. This proposal was faced with strong opposition by the Saudi people and their religious institutions, including pro-regime Islamic figures as well as those who are not at present opposed to it. This opposition found an outlet on Saudi web sites, which are the only means of expression available for Saudis, as the state controls all media. No one welcomed it .On the contrary it was fiercely attacked. Some have even considered it a blasphemy. b. It was received with a lukewarm reaction in most Islamic states. Algeria, Indonesia, Yemen, Malaysia, Pakistan refused it. Egypt, unexpectedly refused the proposal. This Egyptian position killed the proposal, because the one who launched this proposal was under the illusion that Egypt's government, with its strong US links, would be the first to welcome it. d. The Saudi media were not enthusiastic for the proposal. Rather, some have even ignored it. This attitude underlines a fact that not all trends in the ruling Saudi family, especially that of Prince Nayef , the Minister of Interior, agree to send Islamic troops to Iraq. "Can the Saudi leadership learn a lesson from this political and religious blow, and stop putting forward similar proposals upon US orders and, instead, pay attention to domestic political, social, an economic reforms to give an outlet to internal congestion and stop a civil war inside the Kingdom. This would be more useful for them than escaping to Iraq or elsewhere to claim to be trying to repair others' houses before repairing their own." Iraqi writer Sameer Ubaid wrote at the al-Kader web site that the attacks on Iraqi churches were committed by agents of the US occupation to bolster Bush's election campaign. He said: "There is definitely no such thing as Zarqawi in Iraq. It's a delusional creature used by occupation forces in Iraq to maintain occupation, and by the provisional government to evade its basic duties, namely restoring security, improving living, economic and employment conditions , combating drugs and talking to people and the opposition. "Bin Laden stories, written and directed by America, are designed for every Moslem country to be targeted. Thus, in Afghanistan are Bin Laden and Dhawahiri, in Iran is Abu Ghaith who is now stored until further notice when Iran's file is tackled, in Indonesia is Aba Ishairi, in Yemen al-Hoothy, in Iraq is Zarqawi, in the Sudan is Janjuid, and in Syria there will also be a Zarqawi . "Churches' war is a strange phenomenon in Iraq and the region. It's now introduced in Iraq after the mosque war was defeated thanks to the unity of Iraqi people. The aim is obviously to discredit the image of Islam in America and Europe, which would be later manipulated by Bush and his extremist administration in the election campaign. A possible scenario would be for Bush to use these attacks in marketing his theme that Moslems are enemies of Christians and Christianity and terrorists who must be fought and that his wars on Afghanistan and Iraq are legitimate."